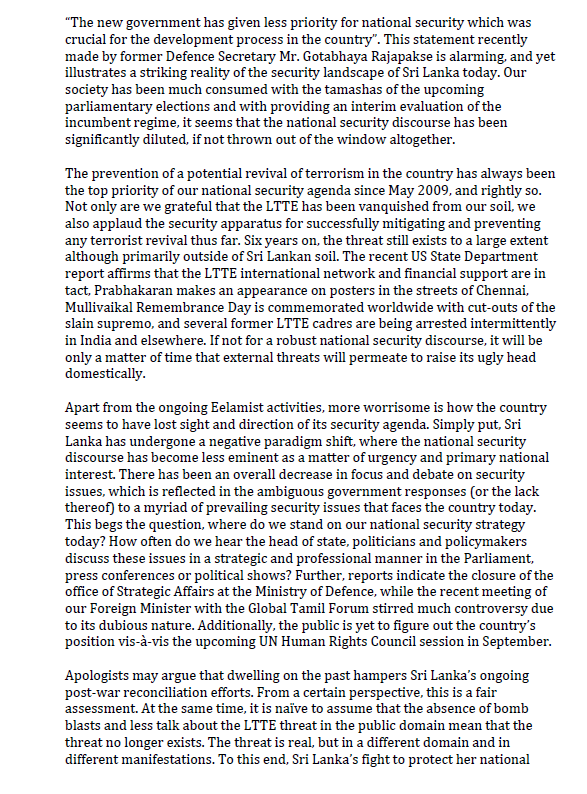 Sadly SL’s national security policy changes when govt.s change. 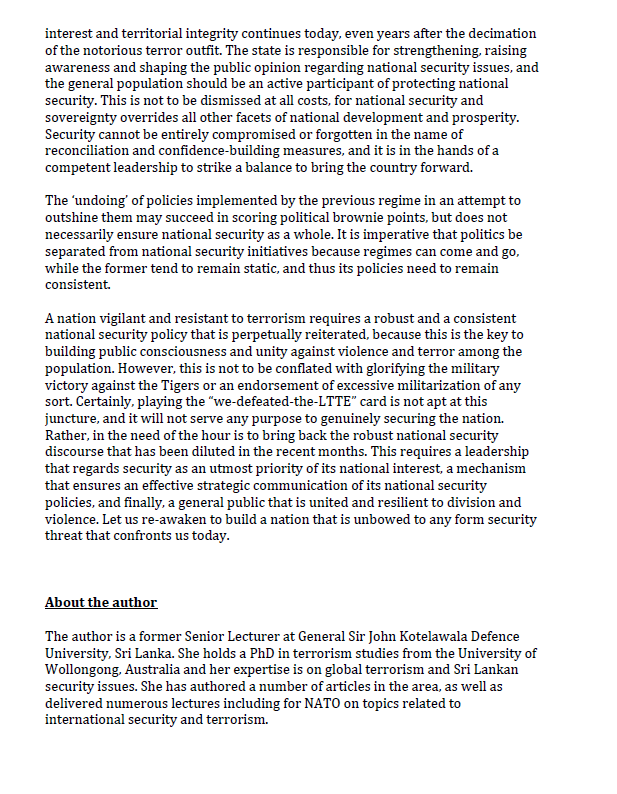 GR had a COMPREHENSIVE way to look after ALL national security issues. Deputy defence minister Dinesh is Ranil’s cousin. What can we expect! This entry was posted on Friday, August 7th, 2015. You can follow any responses to this entry through the RSS 2.0 feed. You can skip to the end and leave a response.